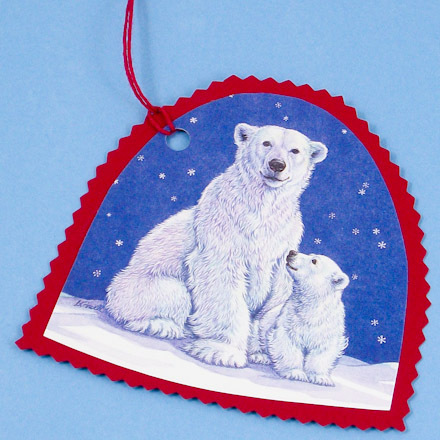 Recycle greeting cards and paper scraps into fun and unique gift tags. The whole family can join in on the cutting and pasting to make these special additions to your holiday gifts. The tags can even be grouped into packages for sale at a Christmas bazaar or for a fundraiser. This is a good craft for family, classroom or group craft time. 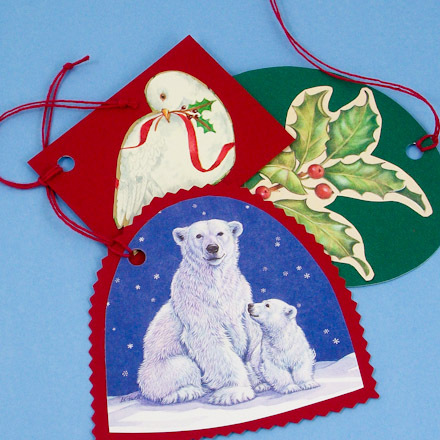 Have the children collect old cards from home or any old printed material with a holiday theme. Related crafts: Use old cards to make Recycled Greeting Cards or Milk and Cookie Placemats. Gather old greeting cards, calendars and/or magazines to be cut up. 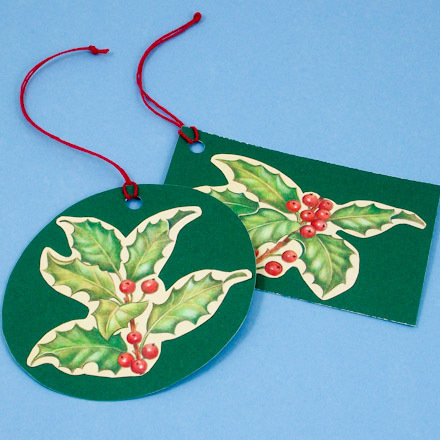 Dig into your stash of craft leftovers for cardstock and paper scraps to back your gift tags. 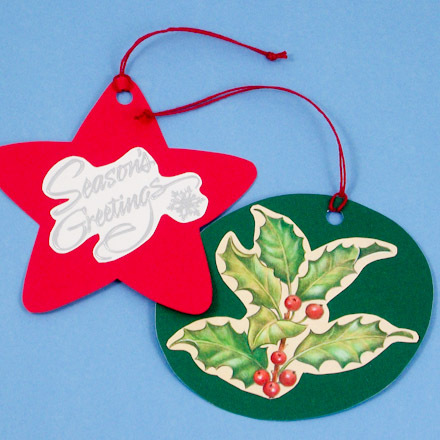 Cut out gift tag-sized images from old greeting cards, calendars and magazines. Cut each image in a rounded or square shape, or closely cut the image, leaving a small border. Let the image, and what's around it, be your guides in choosing the best way to cut it. Tip: Some images work best when closely cut with a small border around the image. Glue the image to a scrap of cardstock or paper of a coordinating color. Use a double thickness if you are using paper as the tag background. 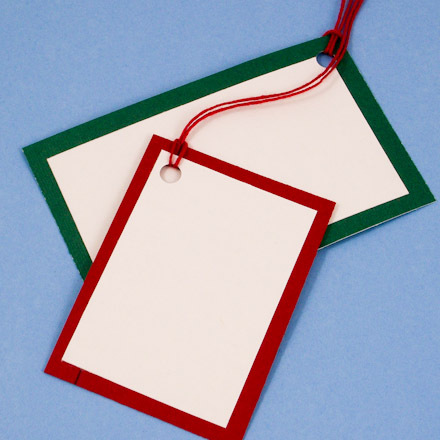 Trim the background cardstock or paper to a tag shape of your choosing. Cut the tag shape freehand or trace a template. Tip: For a special touch, use decorative edge scissors or old pinking shears to cut the background. Punch a hole near the top of the tag and thread a loop of string through the hole. Put the tail of the string through the loop and pull it tight. Tip: Crochet cotton makes good ties and comes in a wide variety of colors. Extra: Want to make cool reindeer gift tags like the ones shown in the instructions? Download the image from the web—search for clip art using the keywords reindeer sunglasses. Make lots of tags for all occasions so you always have some on hand. Tip: On gift tags made from dark colors, glue white cardstock to the back for writing names and messages. Tip: Cut the gift tags with decorative edge scissors. Tip: Use templates to cut tags in special shapes. These tags were made with Aunt Annie's oval patterns and star patterns.